The programme, run by the Ministry of Sport, is specifically designed to financially back those preparing to compete at the Olympic and Paralympic Games. A total of 239 athletes are currently being supported before Tokyo 2020. It is alleged, though, that around 25 "ghost" athletes were entered into the system before funds were diverted into six separate accounts. An internal investigation by the Sports Ministry has estimated that around R$885,000 (£217,000/$280,000/€234,000) may have illegally lost this way in 2012 alone - a figure worth far more in 2017 values. Police have launched a probe named "Operation Havana" in which warrants to search the Sports Ministry have been obtained. According to Brazilian newspaper O Globo, Federal Police have been told that the scheme was operated by former outsourced employee Jose Hector Zorrilla. Zorilla, who worked in the Ministry of Sports from 2005 to 2012, allegedly had access to payrolls in which the phantom names were inserted. It is claimed the six accounts belonged to him and associates. His defence lawyers told O Globo that they have not yet had access to the documents justifying the investigation against him. 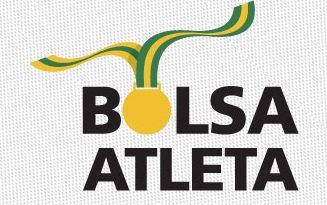 According to information published on the Ministry of Sport website, 72 of those currently being supported by the Bolsa Atleta scheme won medals at Rio 2016. A total of R$31.5 million (£7.7 million/$9.8 million/€8.4 million) is currently being invested into the programme on an annual basis. Athletes are entitled to differing levels of support based on their potential to win medals. This marks the latest in a series of Brazilian corruption investigations which have impacted sport. Others involving construction projects connected to the Rio 2016 Olympic and Paralympic Games are still ongoing.